Well the countdown is on to Paddle Tas 08! I have been out every other day training for just over 3 weeks now. The gear pile is mounting up next to my bed. The warm clothing to sleep in and the warmer clothing to paddle in is being collected. I have 2 sets of long thermals plus some other mid-range thermal gear. I have been checking out some good food/menu sites for tips on good food to eat while we are away for 8 days. If you are interested they are here and here. Todays paddle saw us out at the rocks off Burns Beach with a great seal who was very inquisitive. He came right up to our boats and sniffed us! Stu took some snaps so I will post them when I can. Matty B purchased his Finn Multi sport (Same as Casey’s) and christened it this morning. 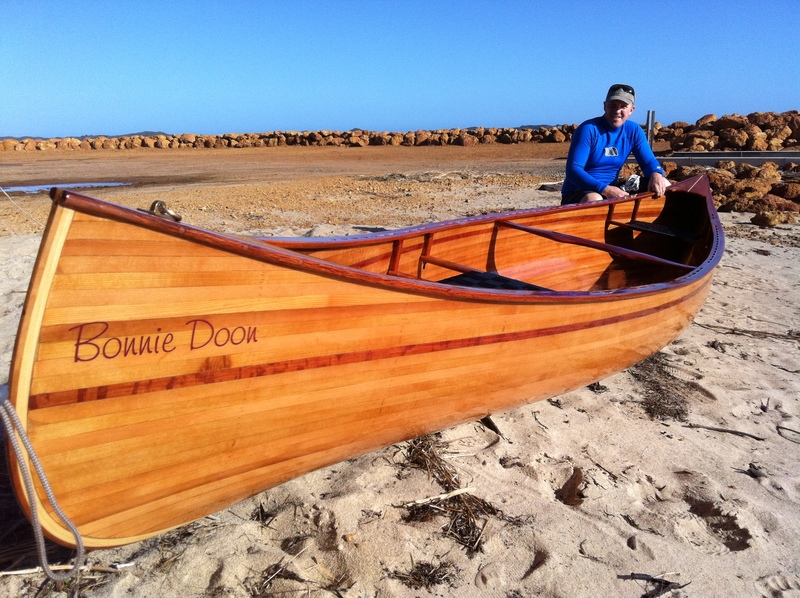 It was a tough day to bless a new boat, big swell and Matty struggled a bit but did well considering. You gotta work hard with cross waves. Next postThis has got to be seen!